An Aquifer Recharge System is a system for pumping or otherwise transferring stormwater or treated wastewater from a surface storage into an aquifer. 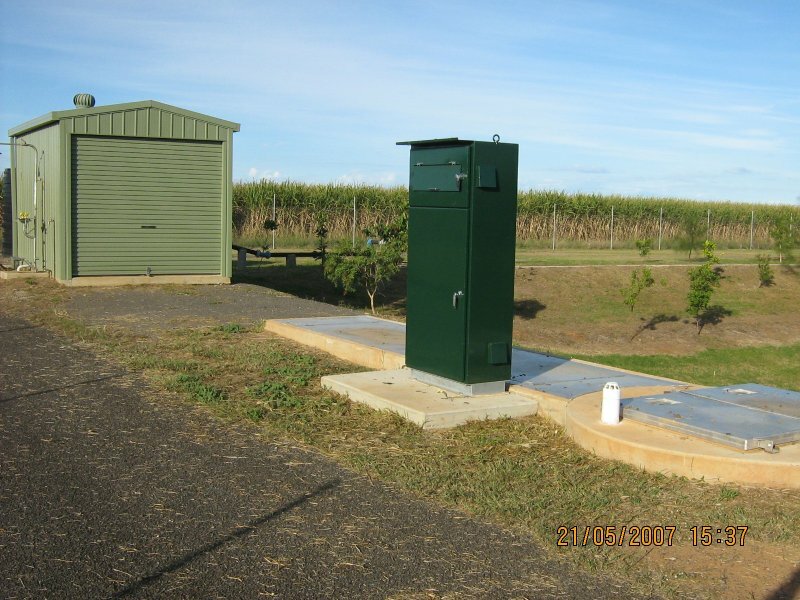 There is an aquifer recharge station currently operating near Keppel Crescent, Bundaberg. It is designed to pump stormwater into the aquifer, after first collecting the runoff in a detention basin to allow settling of gross solids. A pump station then forces this water through sand filters and a chlorination phase. Gravity is used to then discharge the treated water to the underground aquifer. A permit from the regulating authority for the underground system is required prior to commencing such an activity.